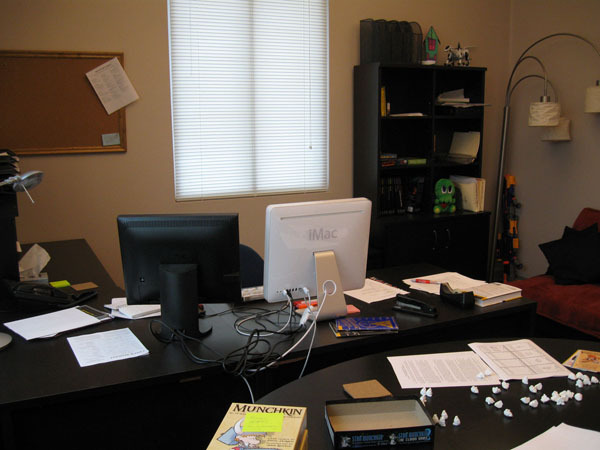 We did a bit of office shuffling over the past month, and Phil moved into one of the corner offices. He also stocked it with some very nice furniture. Snazzy!